Our first ever Paganistan Reclaiming urban Dandelion Gathering is starting to take form. The Dandelion Cheerleaders and smaller working groups have been meeting since January to work toward manifesting the vision of an urban, regionally-based Dandelion. The event will begin September 19 and end on September 21, 2014. What is a Dandelion Gathering? One answer: What we make it! The tradition of Dandelion Gatherings began in 2002. That first Dandelion held in Texas for all of Reclaiming had this intention: “to be a large gathering, accessible physically and financially, and open to anyone supporting the intention and the Principles of Unity The intention was to support opportunities to manifest the community that we envision for our future, and to celebrate, with a re-union of greater Reclaiming Community, tend the hearth, dream the future, and nurture the wild seed.” This first Dandelion laid the pattern for Dandelions to become a co-created gathering of the tribes within the Reclaiming tradition. Learn more about international Dandelions. In 2012, at the BIRCH meeting, we decided to encourage bio-regional Dandelion Gatherings to occur in between the international gatherings held every 4 years or so. Paganistan Reclaiming is taking up that vision this year. We’ve arranged to have the Walker Church located at 3104 16th Ave S. in Minneapolis for Friday night ritual and meal. Saturday, we’ve reserved the park pavilion at Hidden Falls Park in St. Paul from 7:30 am to 9:30 pm. At 3:00 p.m. on Saturday at Hidden Falls we will celebrate the Equinox with a ritual to be planned by community. Other venues are up to the folks who want to organize outings or gatherings in other locations in the area from Friday through Sunday. Co-created and tailored to our community. This event depends on co-creation. That means all the events, rituals, workshops, and spontaneous gatherings depend on folks in the community. What programming would you like to provide or participate in? The Programming/Container committee will be sending out a solicitation soon to get your proposals. Start thinking about what you would like to do. Hosting out of town guests. The success of this gathering will depend on community coming together to make it happen. Fill out this form to let us know how you can help. 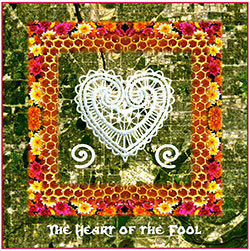 Inspired by the heart of the Fool.